Dr. John D. Beckwith of Cornerstone Dental recently unveiled his new specialty website focusing on dental implants and his advanced expertise with the procedure. Hillsborough, NJ – As one of the leading dental implant providers in the country, Dr. John D. Beckwith, a dentist in Hillsborough, is proud to announce the launch of his specialty website dedicated to the procedure. Dr. Beckwith is a highly credentialed and experienced implant surgeon, and he offers his advanced expertise to patients at his private practice, Cornerstone Dental. With the debut of his new microsite, Dr. Beckwith hopes to inform visitors about dental implants and his enhanced skill in performing the complex procedure. The microsite was developed with a responsive website design to ensure a user-friendly resource for current and prospective patients. This means that whether a visitor is browsing through the provided information on their laptop, tablet, or smartphone, they will be able to view the website in a conveniently formatted layout. This applies to the entire eight-page website that has been equipped with a wealth of details regarding the dental implant process—all of which has been optimized using best dental SEO practices to increase its visibility in the search engines. 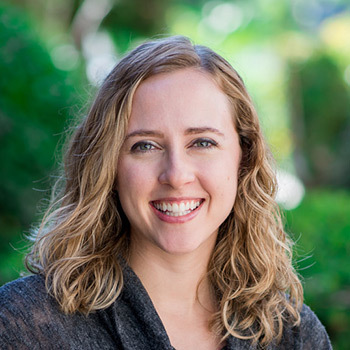 In addition to the website acting as a valuable resource about dental implants, visitors will also be able to learn about Dr. Beckwith’s elevated level of expertise with the procedure. His new website was strategically designed to display his credentials to be easily found by visitors, helping them understand his qualifications. Aside from his own background, Dr. Beckwith also offers advice throughout the website on what patients should look for when researching highly qualified implant surgeons. 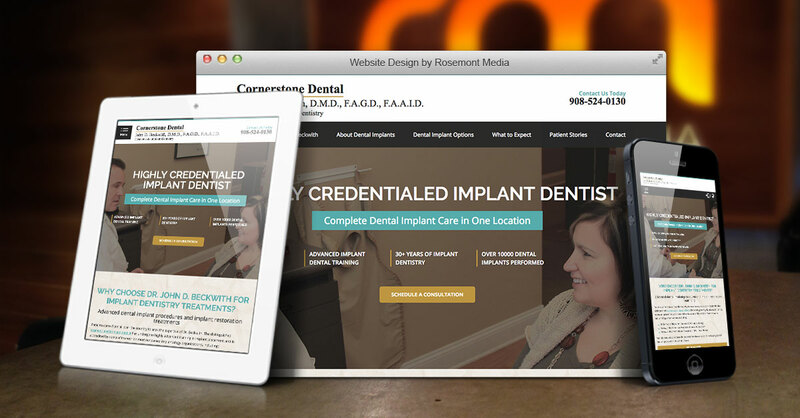 For the creation of his specialty website, Dr. Beckwith collaborated with Rosemont Media, a San Diego-based dental marketing company. Together, the teams were able to design a site consistent with Dr. Beckwith’s main practice website, but going deeper into the topic of dental implants. Ultimately, Dr. Beckwith believes his new site will help more people learn about dental implants, including the life-changing potential they can provide the right candidates when performed by a qualified professional. Dr. Beckwith has become well-known for his advanced credentials in implantology and the high quality of care he and his team provide at Cornerstone Dental. He completed dental school at the University of Pennsylvania, School of Dental Medicine, followed by a two-year fellowship program at the Institute of Growth and Development in Pediatrics. To stay at the forefront of the latest innovations in dentistry, Dr. Beckwith actively pursues continuing education courses, which includes surgical implant training at the Misch International Implant Institute. He is also a Diplomate of the American Board of Oral Implantology and a Fellow of the American Academy of Implant Dentistry, International Congress of Oral Implantology, and Academy of General Dentistry. Dr. Beckwith is available for interview upon request. To learn more about the practice, please visit dental-implants-new-jersey.com, cornerstonedentalnj.com, or facebook.com/NJCornerstoneDental.